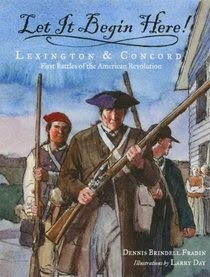 My oldest son, a fifth grader, is studying the American Revolution. It made me so sad to hear that he doesn't like Social Studies in school. So I went into over drive--made posters--found books in the library--and of course quiz him on it all the time. I think my plan may just backfire on me, instead of loving American History, he might just hate it more. But I did find two books I highly recommend. This book is fairly dramatic. But isn't that a great way to hook students into history? It begins with Paul Revere's ride, and ends 78-year-old Samuel Whittemore bringing down three redcoats before he is shot in the head. It uses wonderful descriptive words such as limp, devastating, bolt, and brings the drama in by telling the battle as a story! I think if students love Hunger Games, they would love this book. Because it is about survival, a type of tyranny, and an overthrowing of the government. It took seven long years for the American Revolution to end, but it did end. This is a brilliantly written book that shows both sides of the conflict. I love the art, text, charts, and different points of view. It begins by stating how American believed the King George was a tyrant, where as in Great Britain he was seen as a father of a great empire. Where as George Washington in this country is seen as the father of our country, the British felt he was traitor to the British Empire. He had fought as a soldier in the army, and then became head of the army against the British. History, as life, is very complicated, often messy, and has many different ways of looking at things. This book brilliantly shows two distinct point of views. There are of course many more, but that is for another author to write. 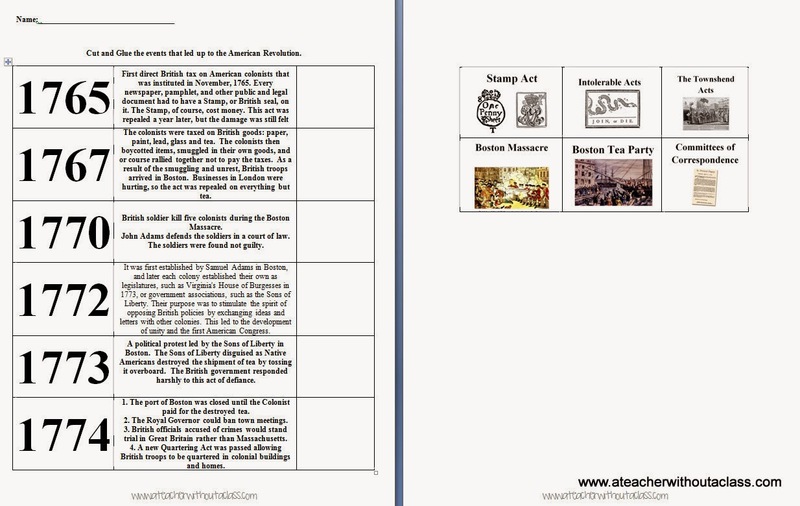 I appreciated the graphic organizers showing both the British Government and the Colonial Government. Americans and even the Declaration of Independence, often blame King George for the taxes, but it was Parliament who levied and taxes. The illustrations are wonderful. The author took two years of researching the topic, studying art work of the time, and writing and illustrating this marvelous book. It is a wonderful book to share. It is, however, long. 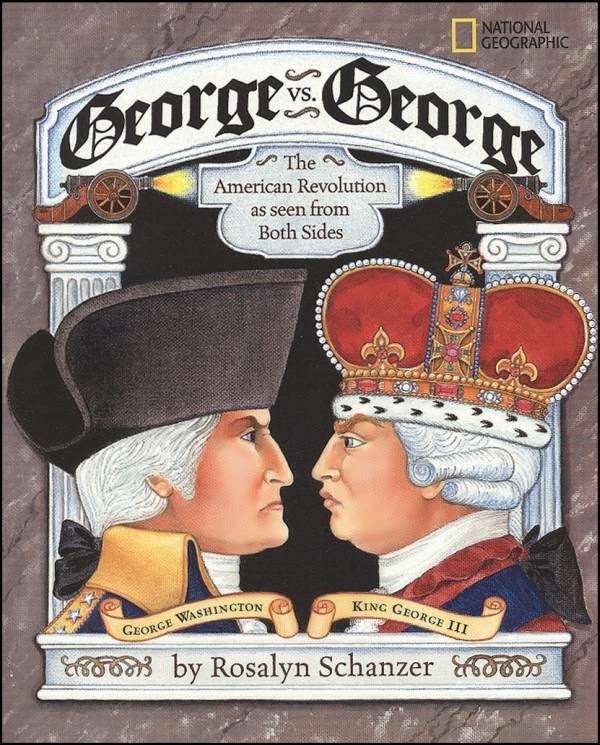 Where as Let it Begin might take 15 minutes to read, George vs George is a much longer read. But don't let that scare you off--great way to share history with your students or children! I love these two youtube video of John Adams defending the soldiers who fired during the massacre. Such a great lawyer! The first shows the full trial, but not the closing arguments and result of the trial. The second shows the closing argument and results of the trial. These are both from the HBO miniseries of John Adams, based on the biography by David McCullough. 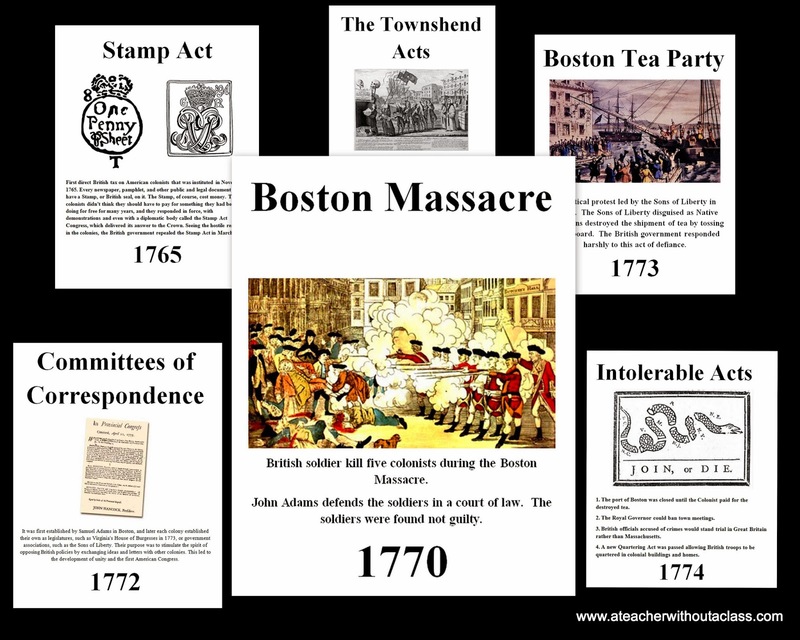 I made these posters for my son so he could see the events that led to the American Revolution. I picture the above being a fairly easy worksheet. I love having visuals, but I wanted it to represent the time. I tried to use paintings or artwork that was from the time of the conflict. This can either be cut up and used as a matching type of game. Or it can just be glued into a Social Studies notebook as a quick reference to some of the events leading up to the war. 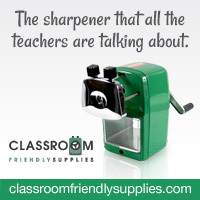 This can be found at my TPT store. For now, it is a dollar, but who knows, I might start adding some weird taxes to my stuff. Thanks, this visual time is wonderful! 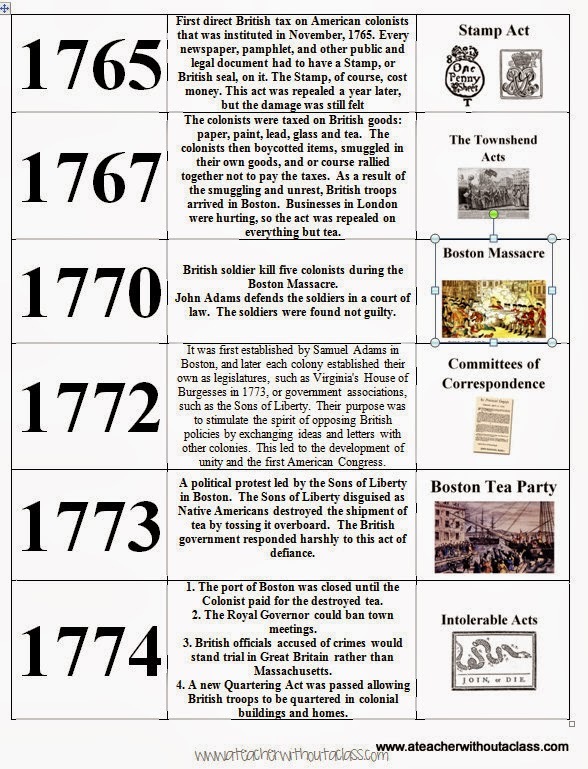 I am doing a unit based history study with my 1st, 3rd and 5th grader and this time line will really help them to understand what events led to the American Revolutionary War.